A team of researchers has found that resistance training protects the brain of people with multiple sclerosis by delaying the development of disease. Multiple sclerosis is a disease in which the immune system eats away at the protective covering of nerves. According to them, resistance training may protect the nervous system and thus slow the progression of the disease. The findings also indicated that physical training can relieve many of the symptoms, including the excessive fatigue and mobility impairments that are often seen. Aarhus University, Aarhus University Hospital, the University of Southern Denmark and the University Medical Center Hamburg-Eppendorf conducted the research. Researcher Ulrik Dalgas from Aarhus University in Denmark said that this study provides the first indications that physical exercise may protect the nervous system against the disease. Dalgas added that physical training also seems to have a protective effect on the brain in people with multiple sclerosis is new and important knowledge. The team followed 35 people with multiple sclerosis for six months. Half of the group engaged in resistance training twice a week, while the other half continued to live their lives normally without systematic training. Prior to and following the six-month period, the participants had their brains MR-scanned and the researchers could see that there was a tendency for the brain to shrink less in those patients who undertook resistance training. "Among persons with multiple sclerosis, the brain shrinks markedly faster than normal. Drugs can counter this development, but we saw a tendency that training further minimises brain shrinkage in patients already receiving medication," Dalgas added. The authors stressed that the aim is not to replace medication with physical training. 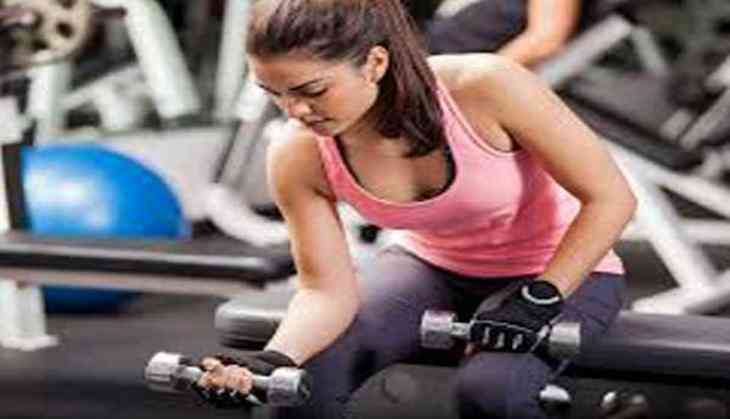 Therefore, the researchers are not recommending that all multiple sclerosis patients throw themselves into intensive physical training regimes without first seeking professional advice. The research appears in Multiple Sclerosis Journal.